David Willetts jumped before he was pushed by resigning from the Cabinet along with Michael Gove who was dismissed in Cameron’s cosmetic reshuffle. 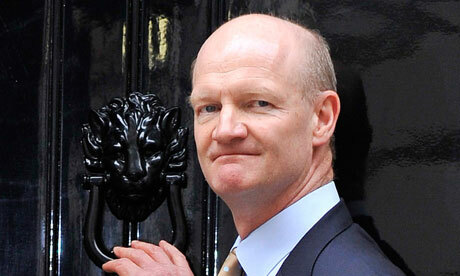 They won’t be back – Willetts hopes for a job in Europe while Gove may be editing the Daily Mail after May. Together Willetts and Gove attempted a Great Reversal in English education. Gove by inflicting a grammar school curriculum on all schools so that fewer would be selected for higher education and Willetts by introducing exorbitant student fees that he thought would deter all but a few from applying to university and thus reduce government costs. Instead of less though, more school leavers applied in hopes of a secure job on graduation; especially when, as Martin Allen has shown, most of the ‘apprenticeships’ the Coalition promised did not provide an alternative route to this goal. Willetts, as much more of a free-market fundamentalist than Gove, accepted the Will of the Market and promised instead to sell the growing mountain of student debt owed by nearly half of all young people. Despite his failure to do this, Willetts – unlike Gove – is deferred to by many academics and most journalists as a ‘two brains’ genius. But he has lost what Andrew McGettigan called his Great University Gamble, adding £191 billion in student loans to government debt. BIS estimate only a third of this will be repaid by 2046, after which unpaid loans will be written off. Consequently, the Treasury have repeatedly tried to get rid of Willetts but he promised he would sell the debt on – only no one wanted to buy. His boss at BIS Vince Cable admitted as much as soon as Willetts was reshuffled. Now Willetts has popped up to defend himself, claiming on BBC’s Newsnight (28/7) to have been working on a scheme to sell the debt to the universities themselves. This will not go down well with the private colleges and ‘universities’ he’s been so keen to stimulate but some of the richer unis (guess which?) might be interested as they see a profit in this, particularly as Willetts is suggesting that this new reform will tie student subject choice more closely to job prospects on graduation. But however ‘employable’ unis claim to make their graduates, this aspect of student as consumer is narrowing student choice and perverting relations between students and staff because, basically, UNIVERSITIES HAVE NO CONTROL OVER THE GRADUATE JOBS MARKET. So the proposal will lose the support of many academics who have been complicit in Willetts’ fee hike on which their own funding now depends (except for the still Higher Education Funding Council-funded Science Technology Engineering and Maths STEM subjects). With clearing upon us, nearly all the unis are in cut-throat competition to cram in students who are paying much more for less. In fact, all but Oxbridge and LSE went into clearing last year for at least one of their subjects. And these are amongst the few unis who will benefit from taking on their own graduates’ debts since they might make a profit from the higher paying jobs some of them get. So much so, they could charge even higher fees! And what of unis where many students are unemployed or in low-paid jobs after graduation? Would government just let them go to the wall, achieving Willetts-Gove’s aim of reducing the numbers in higher education? And is Labour’s policy still to reduce fees from £9,000 to £6,000 and/or will they reinvent Foundation degrees in the form of ‘technical degrees’ leading on from a 14+ ‘technical route’ in schools, like Kenneth Baker’s University Technical Colleges, going back to bi- or tripartite schooling in place of Gove’s delusions in ‘grammar schools for all’? Certainly, if the Tories get back in the cap of £9,000 as the top fee allowed will be removed but meanwhile this last desperate proposal won’t get David Willetts out of the hole he dug for himself. McGettigan, A. (2013) The Great University Gamble, Money, Markets and the Future of Higher Education. London: Verso. Previous Post The piper(s) may have gone, but the tune remains the same? Reblogged this on Apprenticeship, Skills & Employability..